– + if you want a ticket reservation for Amaya Dance Company show (saturday) or Open stage show (friday). You wil get an email with the confirmation and payment information. No spots are secured until payments are made! 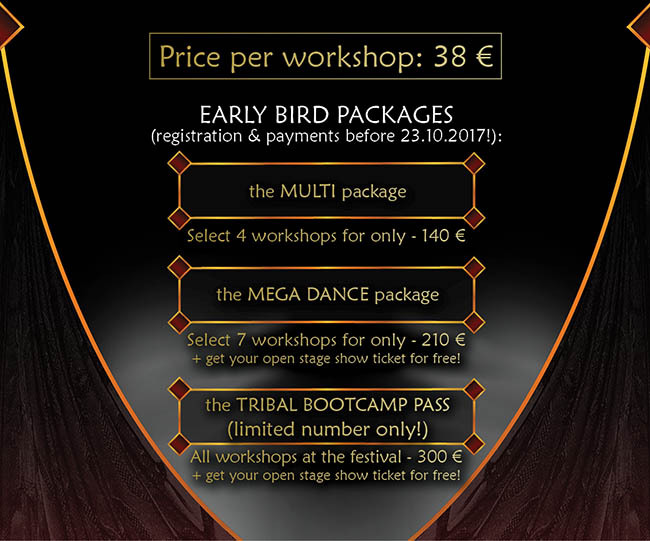 If you are registering for early bird packages, make sure you catch the deadline! ALL WORKSHOPS will be held at Parmova 25, 1000 Ljubljana!